Simar 56 restoration, things look bad!! 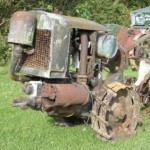 Home › Forums › The Machinery Forums › Garden implements › Simar 56 restoration, things look bad!! This topic contains 26 replies, has 3 voices, and was last updated by charlie 1 month, 2 weeks ago. Hello everyone. I have just saved a Simar 56 from scrap and have found it to have no compression. A quick strip down found severe damage to the piston and cylinder from a dislocated piston pin clip. I am going to try The engineer tomorrow to see if he can reuse it but I’m not holding my breath! I am in NZ and have not been able to find any parts here for it! If anyone has any spares please let me know! Thanks heaps. Photo files need reducing in size, they need to be no more than 3072KB. For microsoft users there is a guide in help and information section of forum. 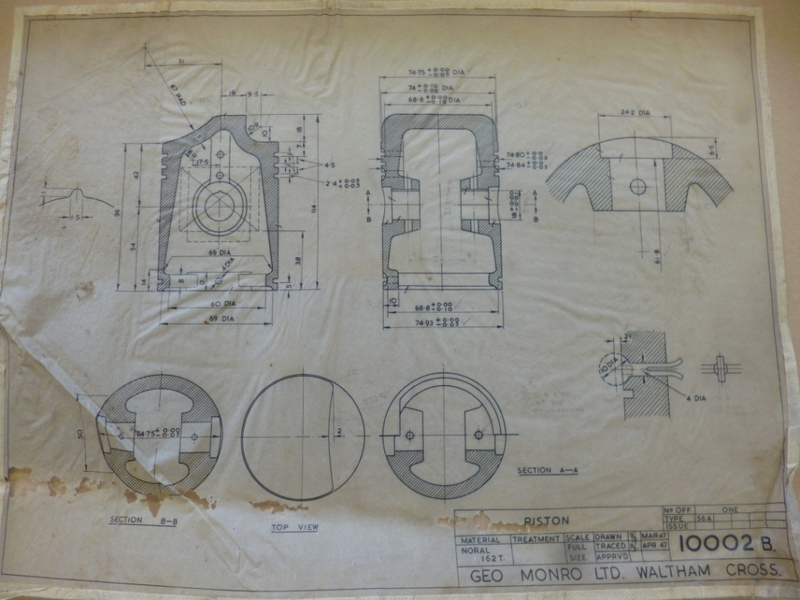 The attached is a photograph of drawing for piston, the original is at MERL, Reading UK. I took the barrel and piston to the machine shop today. He said he can resleeve the bore no problem however the piston will be a challenge but can be done. Note on my photo the large groove io the side of the piston, caused by a wayward gudgeon pin clip. Is there meant to be any sort of groove on the piston? I am not sure if I am looking at pure damage or if there is some kind of port arrangement among the damage. I found a photo of a similar Simar (55?) 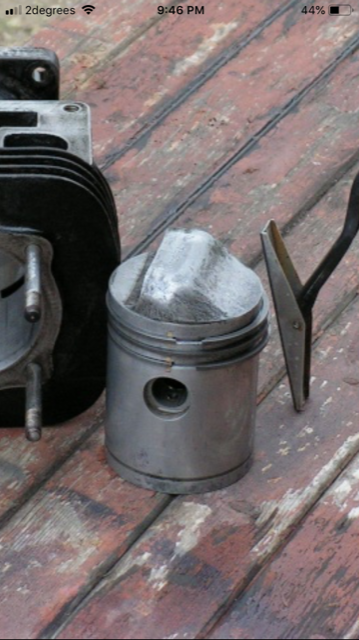 that shows the piston without any groove. It is worth mentioning at this point that your assistance is invaluable Charlie, I am indeed very grateful for all your input. That is damage and should not be there. I have had it suggested that if a suitable piston from a diesel engine can be found it is possible to machine the crown to the required profile, as the diesel piston will have a much thicker crown. If you need a better copy of the drawing let me know. Alastair, two e mails with copies of drawings attached are on their way to you via e mail. Happy to help and I am very lucky to have access to the original drawings. Good news! 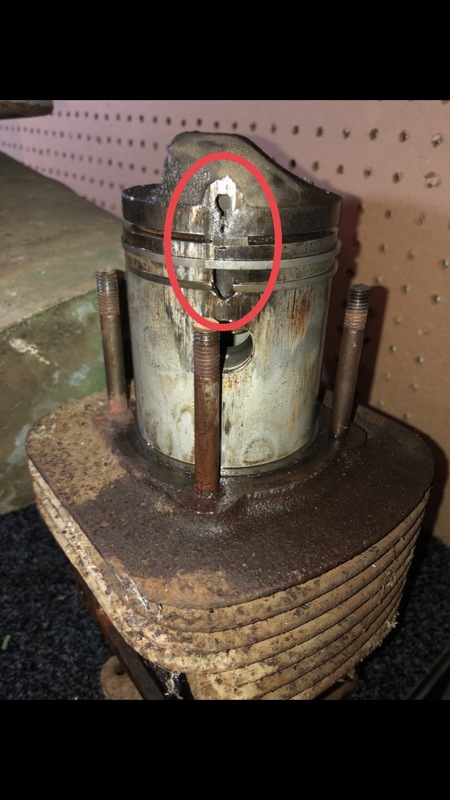 My engineer friend has said he can repair the piston! I may have to wait a while. He will also resleeve the cylinder. My next concern is that when I put the machine into forward or reverse, it appears to have no drive to the wheels. 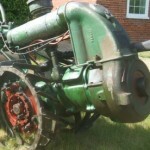 I can see the forward and reverse clutches are ok and the Miller drives ok. I am going to commit myself to a full strip and inspection. I believe this will be worth it in the long run although it may get expensive. 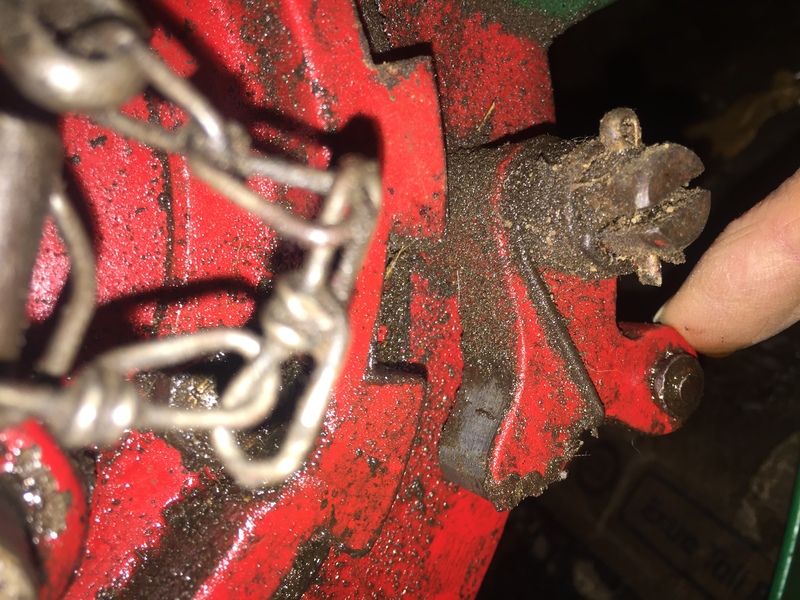 Regarding your drive problem, have you checked to see if the ratchets and pawls are engaged between the hubs and wheels? For forward drive both ratchets need to be engaged (they’re the ones with springs on them). In addition if you permanently engage one of the pawls (the ones which are just on hinges) it will engage reverse to the selected wheel making the machine turn in one direction when reversing. It makes turning round at the end of the row easier. If you engage forward gear and turn engine over, if the inner castellated hub is turning then all you need to do is follow my advice above. The photos show first the forward drive ratchets then the pawls which allows the machine to reverse.